All 46 residents of Karluk Manor, an apartment building in Anchorage for people with disabilities, were evacuated after the earthquake. They won’t be able to return home until Wednesday at the earliest because of a broken water main and damages to the building. But the community pulled together to make sure they were safe. 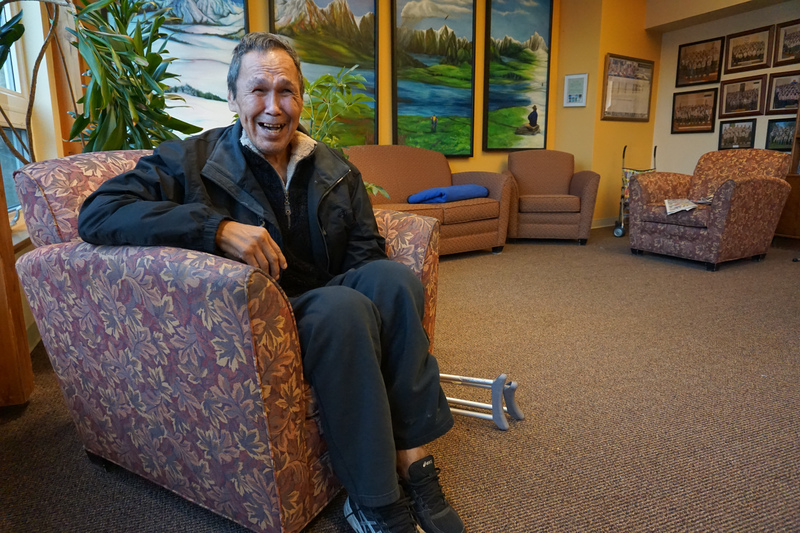 When the earthquake started on Friday morning, Russell Alexie was sitting in his room at Karluk Manor in Fairview. When it ended, he joined the rest of the residents in the building’s cafeteria. He left his room with just his jacket, shoes, and most of his medications. He normally uses a walker, but he couldn’t get it down the stairs and the elevators weren’t working. The power, heat, and water were out, and it was unclear when it would all be restored. Some staff made sandwiches while others made plans. Corrine O’Neill is the supportive housing division director for RurAL CAP, which runs Karluk Manor. She said that by late afternoon it was clear residents needed a new place to live, but the logistics were difficult. “All of our people are disabled and a majority of them are seniors with mobility challenges,” she explained. When other housing options for the large group fell through, they got in touch with St. John United Methodist Church on O’Malley, where Andy Bartel is a pastor, who offered to house people in the church’s gym. Within an hour the church community pulled together mattresses and bedding. Sal’s New York Grill and Catering donated meals, and other volunteers hosted BINGO games and provided entertainment. Karluk resident Betty Sanchez Sopcak, who said she prayed like she never had before during the earthquake, was happy to be welcomed at the church. But she said she is also ready to go home, or at least move closer. 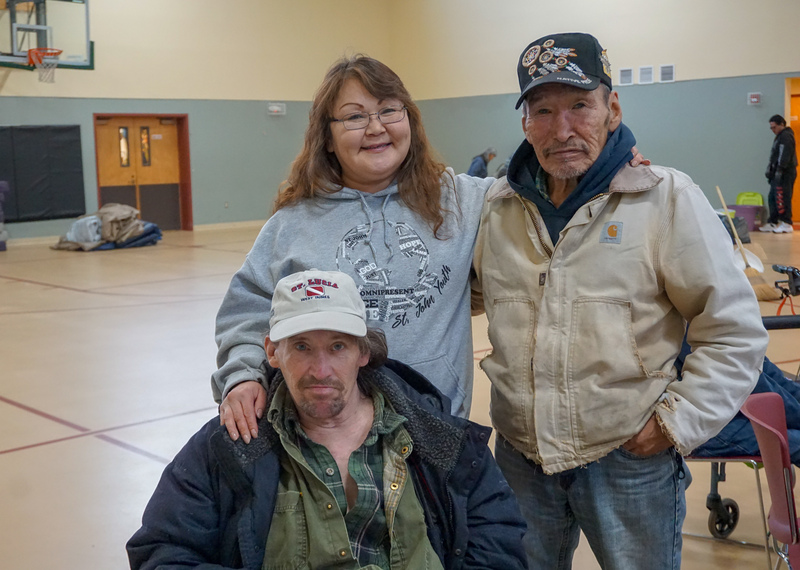 After two nights at the church, the group was moved to the Red Cross Shelter at Fairview Recreation Center, not far from Karluk. The shelter housed about 15 people Saturday night, according to their spokesperson Cari Dighton. They expected about 60 people on Sunday, including all of the Karluk Manor residents. The shelter will remain open until it is no longer necessary. RurAL CAP is seeking donations to fix the water main and other damages, such as broken televisions that provide entertainment to people with major mobility challenges. You can give here.